Our private and spacious Mauna Kea Villas have a classic, understated elegance. They allow an indoor-outdoor Island lifestyle that goes beautifully with spectacular golf and ocean views. Our villa rentals are a great choice for multi-generational families or couples traveling to the Big Island of Hawaii together. “Understated Elegance” defines the Mauna Kea style. The Mauna Kea Villas are cloistered 3 and 4 bedroom private hideaways, wonderfully spacious and well-crafted to welcome Hawaiian sunshine and tropical breezes indoors and out. With fabulous master suites, these luxury villa rentals easily allow multi-generational families or two couples traveling together to Hawaii, to spread out and relax in comfort. And, your exclusive mini-resort is only moments away from everything “Mr. Rockefeller’s Hotel” has to offer and provides the opportunity to experience a multi-million dollar residence and lavish resort lifestyle. We are happy to stock your pantry and bar, provide flowers or other special requests for a moderate service fee. Housekeeping can be arranged on a daily basis (certain fees apply), or customized to suit your family’s schedule. Concierge services are available to assist with dinner reservations, tee times, island activities and ocean adventures. Two of Hawaii’s best beaches in repose by two of Hawaii’s best hotels. Mauna Kea Beach Hotel and the Hapuna Beach Prince Hotel together equal an abundant Big Island, Hawaii vacation experience-with two championship golf courses, a delicious collection of dining options, shops, spa services, seaside tennis, fitness facilities, gardens, pools and activities. 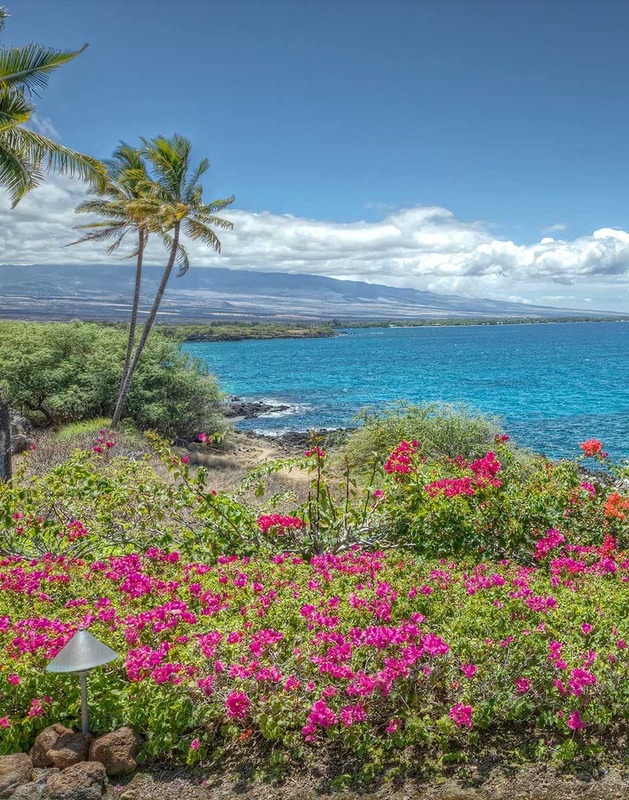 As a guest of the Mauna Kea Villas, all this is yours to explore and enjoy.